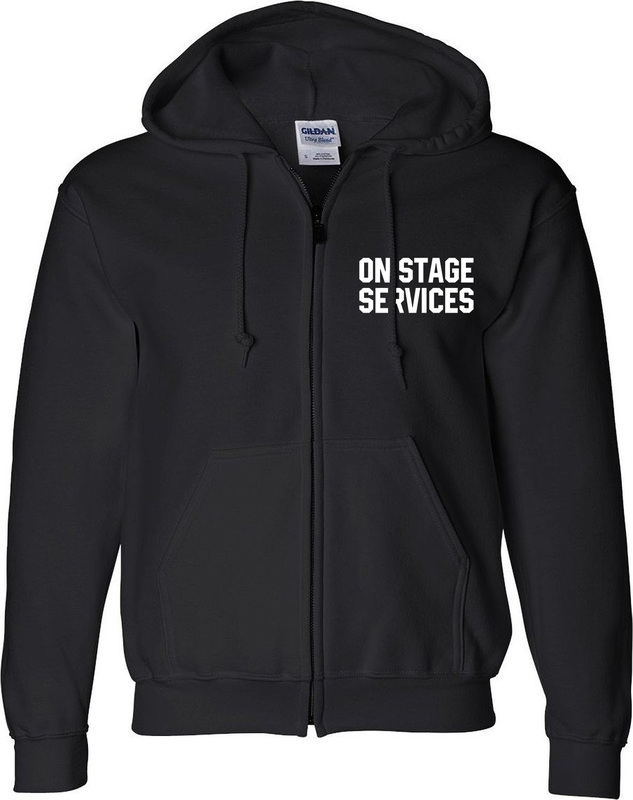 White OSS Collegiate design printed on the back of a black Gildan Dry Blend zip-up hoodie. 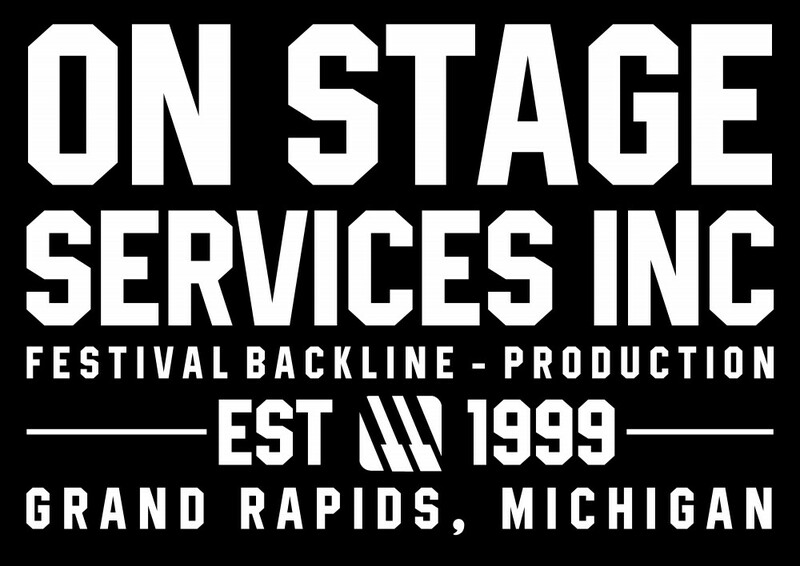 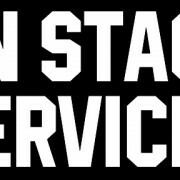 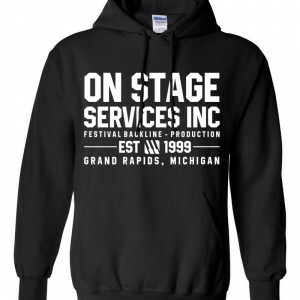 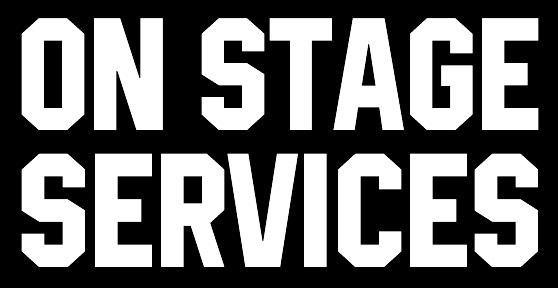 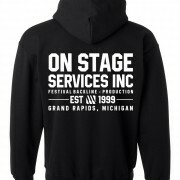 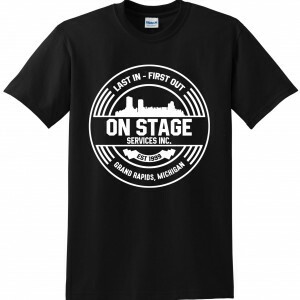 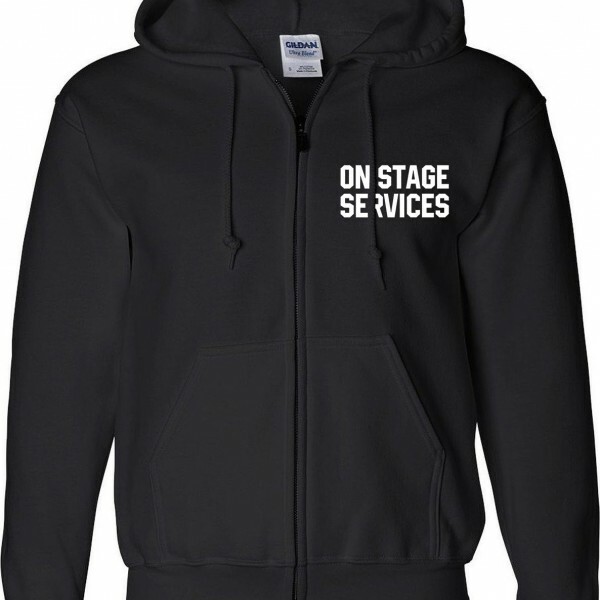 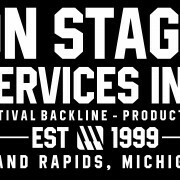 Front left pocket area says “On Stage Services” in a white collegiate font. 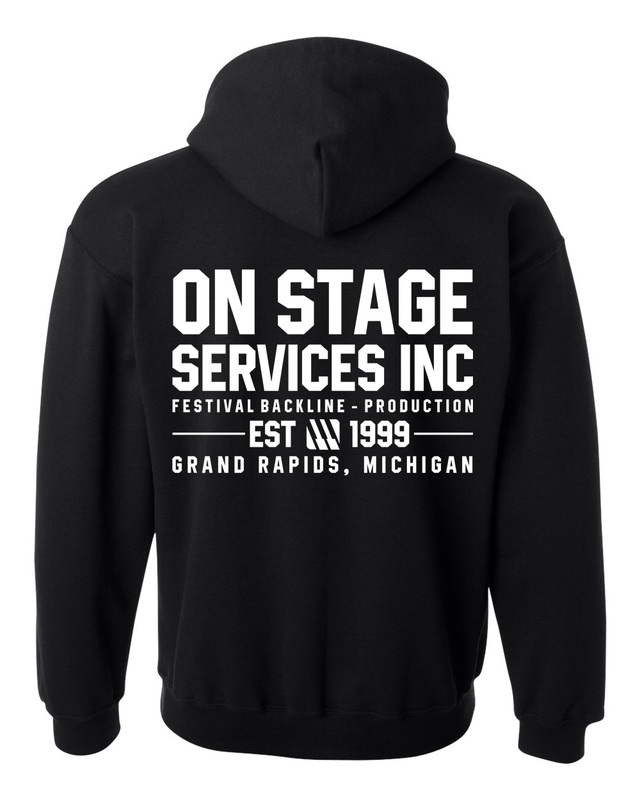 Hoodies are 50% cotton, 50% polyester, and incredibly soft on the inside.